Oct. 9, 2018: The HPISD Board of Trustees receives an update on plans for a new Hyer Elementary School. May 22, 2018: HPISD provides update to HP Town Council regarding Bradfield. Click here for final peer review summary. Video from Hyer Neighborhood meeting held on May 7, 2018. Documents and presentations related to facilities updates from the November 2015 bond election will be posted on this page as they become available. 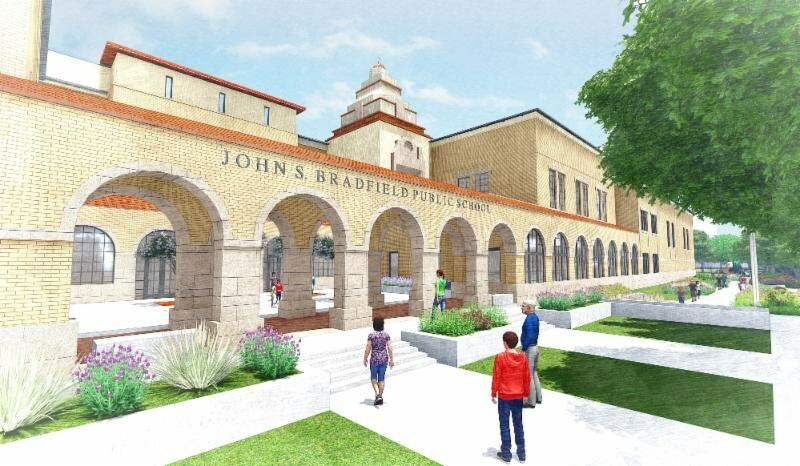 After months of meetings to gather input from parent groups and neighbors, designs for the new Bradfield Elementary are beginning to take shape. The school is on schedule to be rebuilt during the 2018-19 school year.